TXT are young princes in their new MV teasers for ‘Crown’! Big Hit Entertainment’s new boy group TXT (Tomorrow X Together) have released two MV teasers for their upcoming debut song ‘Crown’. The MV teasers showcase the boys stunning prince-like visuals, and bubbly personalities, complimenting the up-beat rhythm of the song. The teasers also give us a brief preview of the choreography behind the song, which also looks to be energetic and fun! ‘Crown’ will be one of the tracks off of their debut album ‘The Dream Chapter: Star’. The album will consist of five songs, including ‘Blue Orangeade’, ‘Crown’, ‘One Summer’, ‘Cat & Dog’, and ‘Nap of the Star’. Check out TXT’s MV teasers for ‘Crown’ below! 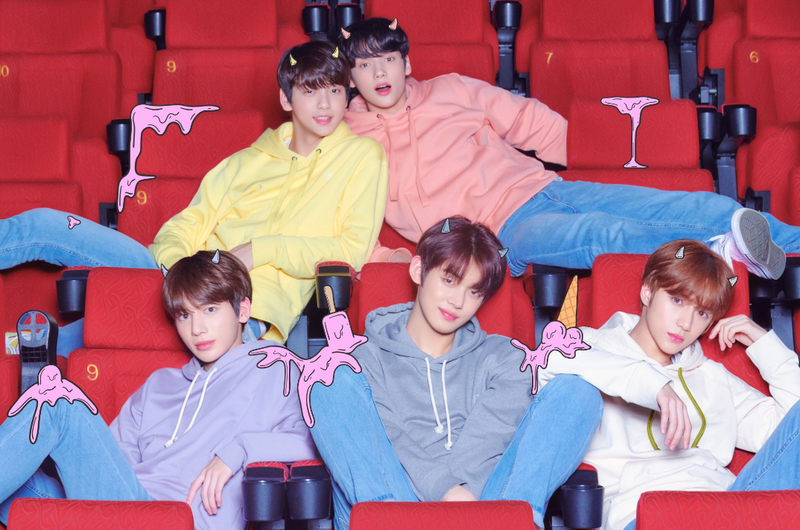 TXT’s album ‘The Dream Chapter: Star’ is set to release on the 4th of March, 6 PM KST. That do you think of TXT’s debut song, and short performances in the MV teasers for ‘Crown’? Are you excited for TXT’s debut? Let us know in the comments below!